In my experience in working with individuals dealing with depression and anxiety or both, there has been a consistency I have seen. 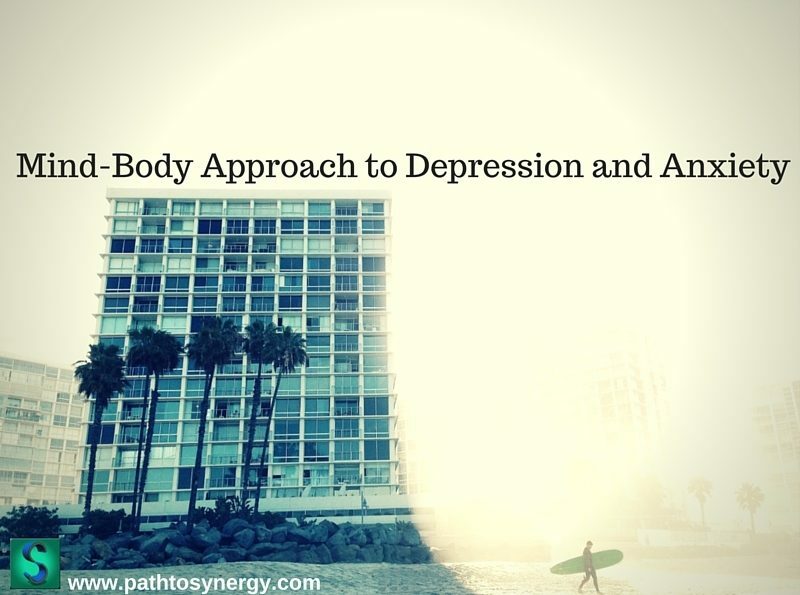 I hesitate to use the term “always” but certainly often, taking a mind-body approach to depression and anxiety seems to yield positive results, in my experience. In my own life I have found this to be true also. I have always felt better when exploring challenges from multiple lenses. This is not necessarily surprising that long lasting change would be achieved through tackling multiple components of the human experience. I’m certainly not alone in this belief either. According to an article in The Journal of Palliative Medicine, it was found that a multi-modal treatment approach including mindfulness meditation, yoga movement and breathing exercise helped to reduce anxiety and depression in Japanese cancer patients. In addition, in The Canadian Journal of Psychotherapy there was a study showing the efficacy of using Yoga as a complimentary treatment to psychotherapy in treating depression and anxiety. These are just a couple of examples of how a mind-body approach can be an effective treatment philosophy. Mind your body – We now have extensive research to show how lifestyle has such a great impact on our body and mind. When considering how to care for your body and mind, the basic tenants remain – eat whole foods, exercise regularly and get plenty of sleep. If someone is experiencing anxiety and depression these lifestyle factors may be harder to work towards. However, when you follow these principles often times there is symptom reduction. For more information on nutrition, wellness and some great insight into mindset I recommend – The Model Health Show. Talk to someone – If someone is having a particularly hard time it may be valuable to call a therapist or doctor for consult. If you already have a therapist, there may be value in seeing them more regularly during more challenging times. Have compassion – Be patient and have compassion with yourself. During times of depression and anxiety this may be difficult. Remember that there are resources available to you. Remaining present, compassionate and patient when working towards reducing symptoms is an important strategy. One way to exercise compassion is doing an exercise in gratitude. 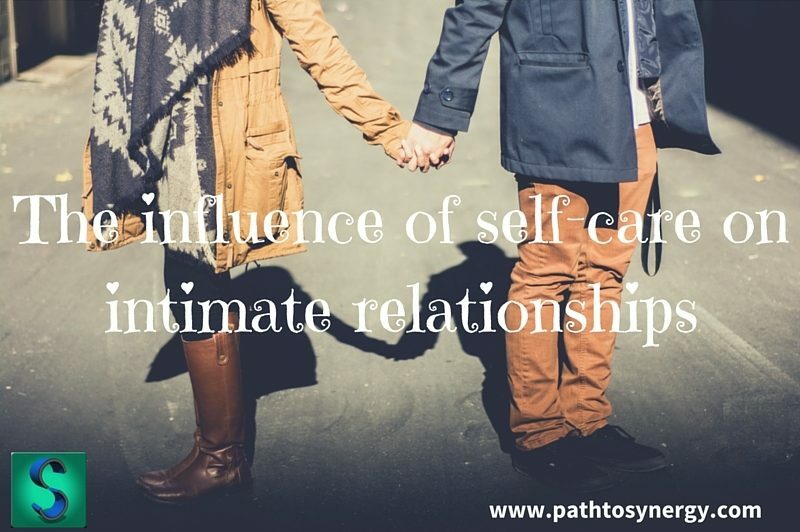 Self-Care – Engaging in some sort of regular practice is very important. This practice can be different for everyone. 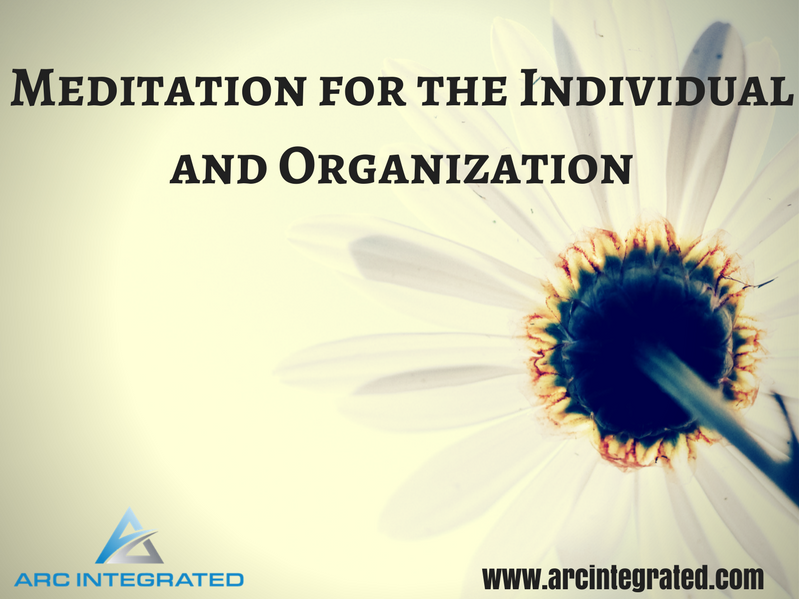 However, usually the focus of the practice is related to self-development. Self-care could be related to physical fitness, meditation, time with loved ones, reflection, intention or any combination of activities that help to de-stress or remain present. What mind-body practices have you found to be effective in your life? I recently finished an experiment on intention that I had started about three months ago. My intention was to complete 100 days of a regular morning routine. 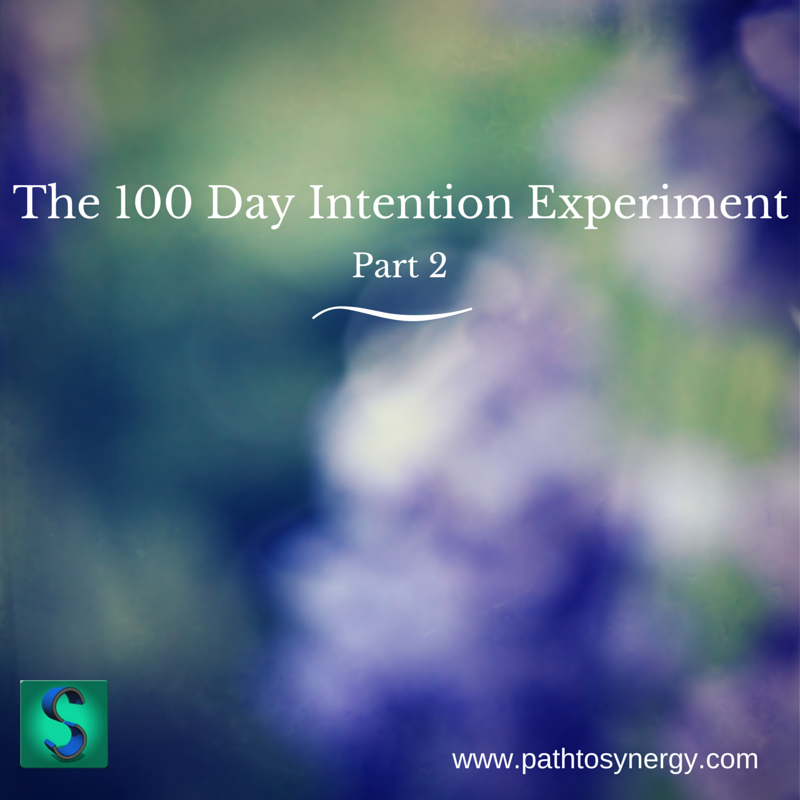 To see some details read The 100 Day Intention Experiment – Part 1. I had been in an accident that gave me some new perspective about how focused and present I was being with my time, a great lesson. Basically, through this 100 day experiment, the idea was to build more intention to the start of my day, in order to positively impact the rest of my day. I have been starting my day out with different forms of meditation and exercise and then writing. I wanted to write a reflection of this experience since as I suspected, it was great! At this point it’s hard to imagine not going through this routine, as I have come to enjoy it so much. However, some things will continue to evolve and change, as they should. I have already started another 100 day challenge but am setting specific goals for exercise, business, and personal development. I recently read my last 100 daily entries of journaling and noticed some themes come up. Some of these ideas stood out and I thought I would highlight them, as they may be valuable to other people too. The importance of gratitude – I recently wrote a post about this, but in summary – when I am feeling stuck or irritated I can remind myself of all that I already have as well as the difference between my needs vs wants. Patience – I have found that my timeline and how things have been unfolding are a bit different. A great opportunity to practice patience and continue with follow through and direction towards goals. Self-Worth – Through this experiment and refection I am reminded that my self-worth is not dependent on the goals I reach. 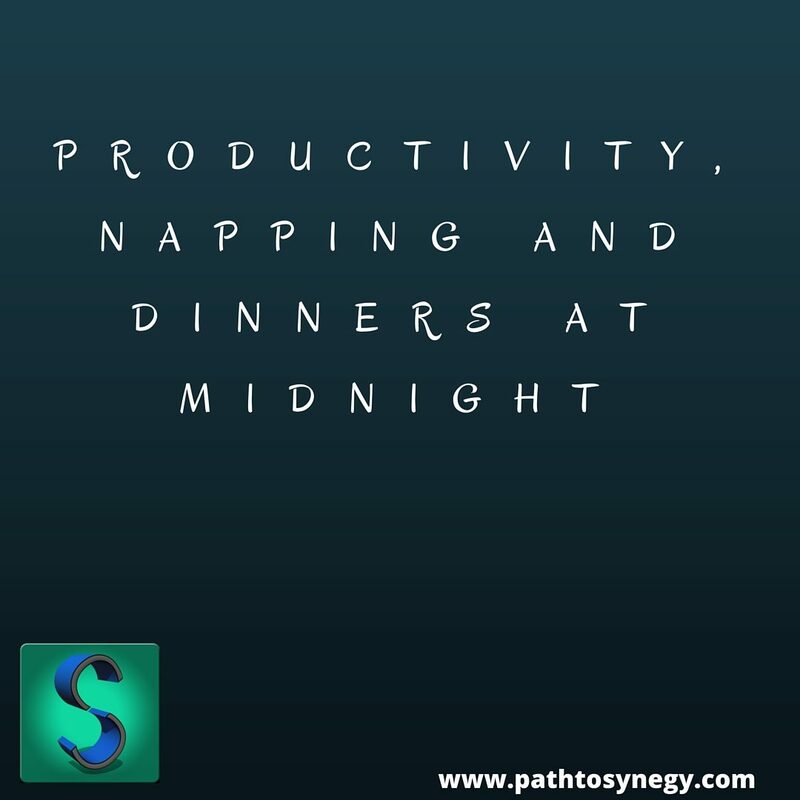 The importance of sleep – I have noticed that the more I get regular sleep (at least 7.5 hours a night) the more productive, focused and aware I am. Abundance – Thankfully I am in a community were this idea is supported. There is lots of opportunity to look at all the other practitioners in my field as competition. I am reminded though that this is a perception and the truth is that there is plenty of work available for all of us. Remaining present – Having spent more time recently meditating, remaining present has been an important focus. I have noticed that the more I can focus on the now the less stress I experience. Making connections is important – I have surprised by how making connections in the community continues to lead to more opportunity. I believe that speaking about our work and passions with others will bring more opportunity to have these passions and work expressed in our lives. Writing about my dreams has been helpful – I have been finding some interesting insight and themes in my dreams as I have been writing about them daily. Some themes make sense (based on what I’ve been involved with recently) while others have brought me more insight into the ways I interact, think and feel. How does your daily practice impact you? Maintaining change takes time, and you will probably experience some hiccups along the way. As you may have heard, change is not a sprint, it’s a marathon. But what does this mean? To me it means that to be successful with change there needs to be regular diligent practice over longer periods of time. This isn’t the only key to maintaining change, but a key component. Remember that to reach a change of pace you need to understand the pace of change. I recently entered into a 100 day challenge, which I wrote about a few weeks ago. This challenge is around being very intentional with my mornings. 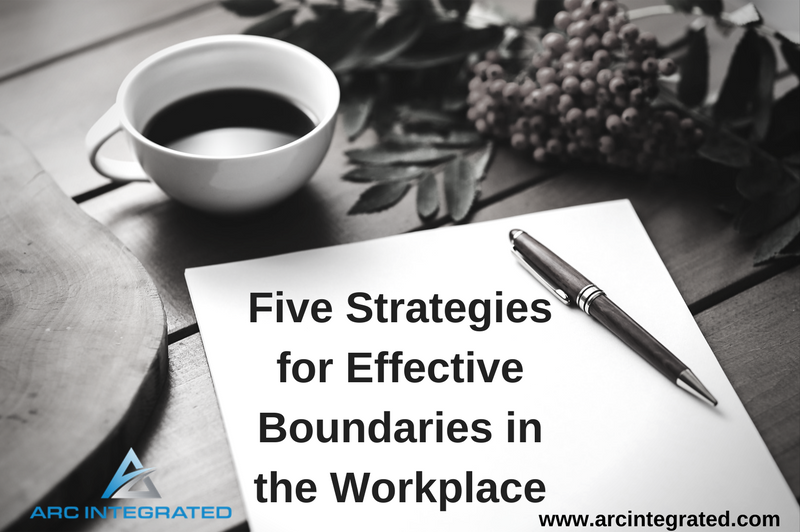 This has proved to be an effective strategy in implementing a new change. I have learned a lot about my strengths and challenges and what things push me back towards old habits. I have taken an approach of diligence and curiosity though, not embracing failure when things didn’t go the way I expected. This took some getting used to though. Today is day 85 and by now my routine feels pretty normal, I’m enjoying it. Patience – Since we know that change takes time, patience is of the utmost importance. Often time’s changes are not successful because we don’t practice long enough, or wait out the new pattern long enough for it to truly set in. Being patient in your process as you create a new way of being will lead you to continue on and not give up prior to completion. Acceptance – In the midst of a new lifestyle, some days will be great, others not so much. Accept this. The fact that you’re having a bad day or that your practice in implementing a change was not as great as yesterdays, does not mean failure. Some challenges may get in our way when we are in the midst of a change. It is important to accept what may be out of our control. 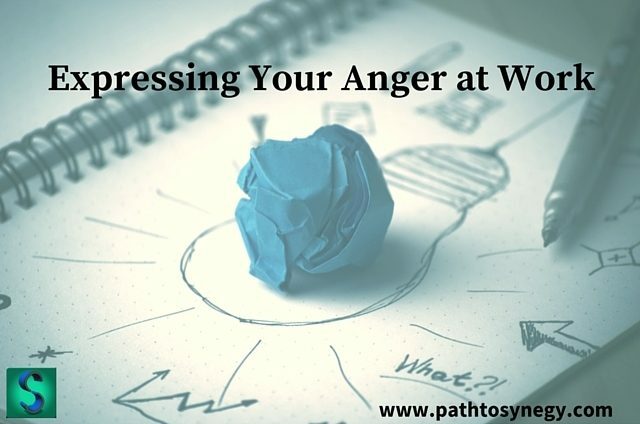 Control – Very connected to acceptance, knowing what is in our control and what isn’t, is an important part of the path towards change. However, the reason I separate acceptance from control is that ultimately we are in control of perception, just not the event that precedes it. What this means is that when we are faced with challenges, we always get to control our own perception and interpretation towards the situation. We have the choice to be victims or masters of our challenges. Empathy – Times of change can be hard. Having empathy for yourself through the process of change is crucial. So what does self-empathy mean? It means staying connected to yourself in the process and allowing yourself to make mistakes along the way and knowing that it is ok. Allowing yourself to make mistakes along the way and not giving up is a recipe for long lasting change. For example, there will be times when you plan to implement a change or practice a new behavior and you get set back by old patterns and ways of being. Its ok to have setbacks, just don’t let those setbacks be translated into a quitting mindset. Having empathy towards yourself will help to increase the likelihood of not giving up at setback and ultimately reaching your goals. 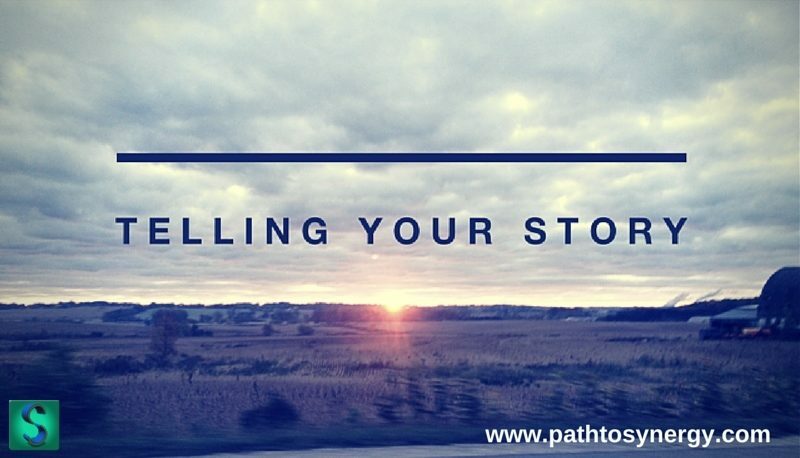 So next time you are facing a change or working through a goal, consider pacing yourself. What changes are you working towards? How can you implement the PACE acronym in making your desired change successful? What holds you back from taking action? Please feel free to comment below with any answers to these questions, new ideas or other questions.